Green-eyed Domino chose this same colour for all of her accessories in this picture from June 2016. Her wide-brimmed green straw hat frames those eyes to great effect. 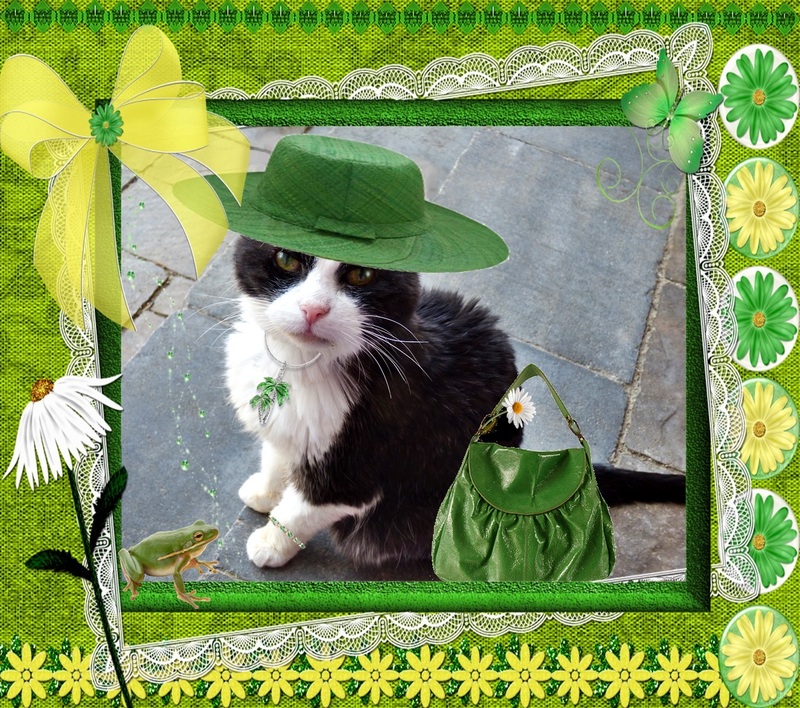 And her purse in green leather is just about a purrfect match. She chose a silver necklace with green palm tree pendant as a fresh touch to the outfit. Fresh as a daisy, too, I might add! Her froggy friend is a keen admirer of all things green. As soon as he saw Domino he hopped right to it. "Wanna play a game 'o Frogger?" asked the frog. "Not on YOUR life!" answered Domino.